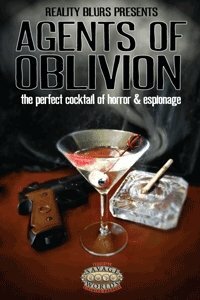 Agents of Oblivion is the highly anticipated Savage Worlds setting book we like to call The Perfect Cocktail of Horror and Espionage. Within these pages grace everything you need to play the style of spy game you want to play from “The Company Line” where every nightmare and conspiracy you can imagine is real and you can wield the powers you need to drive back the darkness to “Spy versus Spy” where you can take things on in a gritty brutal fashion. John Rogers, creator and executive producer of Leverage, says it nicely in the Intro (click here to read more). Agent generation is designed with flexibility in mind and expands the Savage Worlds base rules while remaining true to them. Within are options to even modify your agent’s abilities between missions. Add to that resources and you have a setting which truly shines-spytech, special training, SUDs (single use devices), and a multitude of ways to trick out your loadouts and options to grab! If you’re the Director, there’s plenty for you within these pages as well. Advice on how to integrate spy and horror themes into your games along with details on modeling your campaign into one of the seven campaign frameworks and a robust spy sampler where we show you how by example of how to create a campaign in each of the styles. 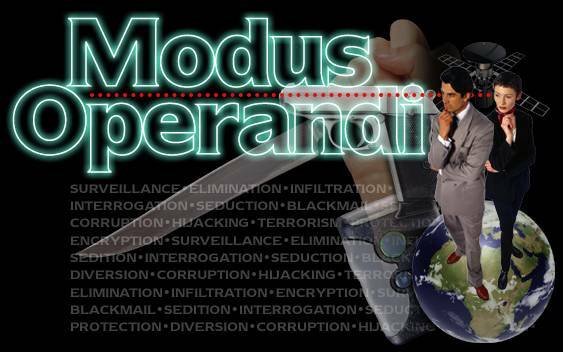 Combine this with mission generators, creature generators, and more and you can leap into the modern world of high stakes espionage and horror with complete confidence. From the hand of The Agency Star’s prolific Trigger, come these pre-generated characters for Agents of Oblivion.